A new language learning website has come out, called Ba Ba Dum (build 128, version 1.1.1). This is my review. tl dr; don't use it for learning languages where the gender of the words matter - like in German. I first heard about the website through some UI/UX/js/css/web people (thanks Leigh and Paul!). Not only is this interesting to me from a web app perspective (that's what I do for my day job), but I'm also very interested in making games, as well as learning languages. So, naturally I checked it out. In this video Chris Lonsdale does a talk about principles and actions that can speed up language learning. I think it's very interesting, and useful... but I'm always sceptical. Learning how to learn is important, and this video attempts to share some effective techniques for learning, and the principles behind them. The arguments used in the video are not referenced to academic standards since it is a very short talk - and not an essay. However the presentation is convincing, and it does cover a number of pieces of advice I've read in other places. I'm going to try and provide links to further reading on each of the techniques and pieces of advice listed. What doesn't work? He mentions some things that don't work. Talent.Immersion. Talent is needed. Citations needed. 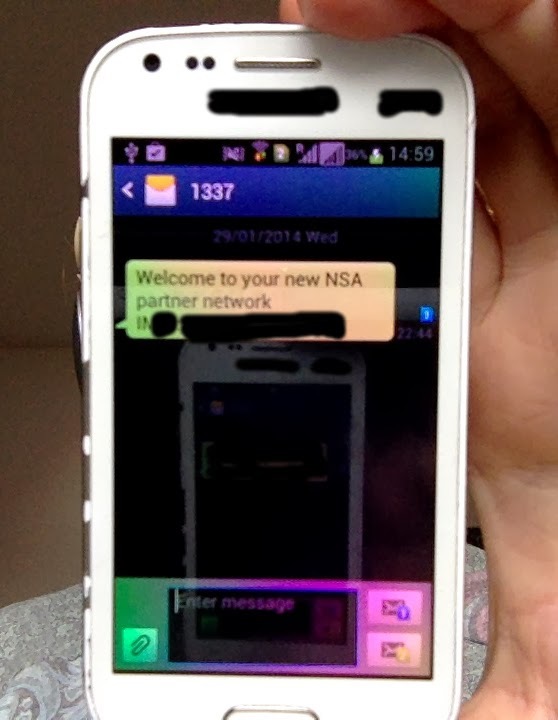 Welcome to your new NSA partner network. Tech art in Berlin. I immediately had a scary thought. "Had someone hacked into my phone?" My next thought was "oh, someone is hacking the mobile networks". "Damn, I forgot to turn my phone off like I usually do before coming to hacker events". My phone didn't have service to either of the networks it usually connects to, so someone was definitely jamming the phone systems. This message was a very impressive piece of tech art indeed. It made me think, and feel something. We are starting an EU/UK tech online magazine. Want to know when it is released? "The revolution is over. Welcome to the afterglow." reads the opening line to the transmedial festival in Berlin.